The Next-Gen IT curriculum from Arcitura is comprised of a series of 3-module specialist programs. Course delivery options can include private on-site workshops, live virtual training, public workshops or self-paced training via Study Kits or eLearning. Each module is a one-day course when taught by a Certified Trainer or can take 10-14 hours to complete via self-study. A comprehensive overview of DevOps practices, models and techniques, along with coverage of DevOps benefits, challenges and business and technology drivers. Also explained is how DevOps compares to traditional solution development and release approaches and how the application of DevOps can be monitored and measured for concrete business value. A course that delves into the application of DevOps practices and models by exploring how the DevOps lifecycle and its associated stages can be carried out and further identifying related challenges and considerations. In-depth coverage is provided for the application of Continuous Integration (CI) and Continuous Delivery (CD) approaches, along with an exploration of creating deployment pipelines and managing data flow, solution versions and tracking solution dependencies. 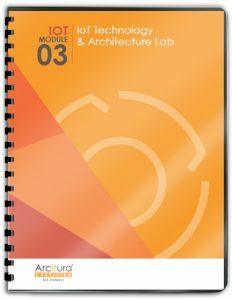 A lab during which participants apply the concepts, processes, techniques and metrics previously covered in order to complete a set of exercises. Specifically, participants are required to study case study backgrounds and carry out a series of exercises to establish DevOps processes and carry out DevOps stages and related techniques to address requirements and solve problems. This course provides end-to-end coverage of essential technology and business topics pertaining to Blockchain. The industry drivers and impacts of Blockchain are explained, followed by coverage of basic Blockchain components and artifacts. Various Blockchain technologies are discussed, along with security considerations and common applications and usage scenarios. A This course delves into the technologies, artifacts and inner workings of blockchains and related solutions by exploring a series of key mechanisms, associated technologies and common architectural considerations. Also covered are common security concerns and mechanisms. This course module presents participants with a series of exercises and problems that are designed to test their ability to apply their knowledge of topics covered in previous courses. Completing this lab will help highlight areas that require further attention and will further prove hands-on proficiency in blockchain technologies, mechanisms and security controls as they are applied and combined to solve real-world problems. This course provides a comprehensive overview of machine learning by covering key algorithms, functions and components of machine learning systems, along with common real-world demands, such as scalability, runtime processing requirements and utilization by search engines. Also covered are the relationships between machine learning systems and deep learning systems and artificial intelligence. This course delves into the many aspects, algorithms and models of contemporary machine learning environments, including analysis techniques, system design and processing considerations, constructing and working with models and key principles. This course module presents participants with a series of exercises and problems that are designed to test their ability to apply their knowledge of topics covered in previous courses. Completing this lab will help highlight areas that require further attention and will further prove proficiency in machine learning systems and techniques, as they are applied and combined to solve real-world problems. This course covers the spectrum of key topics pertaining to the Internet of Things (IoT) from both business and technical aspects. How IoT has impacted and is being utilized within different industries is explored and essential IoT concepts, models and technologies are introduced and related to fundamental IoT characteristics and functions. This course provides a drill-down into key areas of IoT technology architecture and enabling technologies. A range of architectural models and layers are covered, along with core mechanisms pertaining to data collection, communication and device-related functions. Various relevant communication layers and protocols are also addressed, together with device and discovery functions. This course provides comprehensive coverage of containerization models, technologies, mechanisms and environments. How the utilization of containers impacts both the technology and business of an organization are covered, along with many technical features, characteristics and deployment environments. This course provides a deep-dive into containerization architectures, hosting models, deployment models and utilization by services and applications. Numerous advanced topics are covered, including high performance requirements, clustering, security and lifecycle management. This course module presents participants with a series of exercises and problems that are designed to test their ability to apply their knowledge of topics covered in previous courses. Completing this lab will help highlight areas that require further attention and will help prove hands-on proficiency in containerization concepts, technologies, architecture models and pattern application, as they are utilized and combined to solve real-world problems. This course covers foundational AI topics and concepts and provides an understanding of essential AI techniques, the basics of neural networks and fundamental neural network architectural layers. This course covers important areas of AI application that further delve into the relationships of AI with machine learning and deep learning, as well as the relationship between reinforcement learning and artificial learning. Also provided is comprehensive coverage of neural networks, including different neural network architectural models. This course module presents participants with a series of exercises and problems that are designed to test their ability to apply their knowledge of topics covered in previous courses. Completing this lab will help highlight areas that require further attention and will further prove proficiency in AI, machine learning and deep learning systems and neural network architectures, as they are applied and combined to solve real-world problems.